Today’s guest post is written by Samantha Allington. On Thursday 8th September 2011 I was 19 weeks and 3 days pregnant when my waters broke at home. 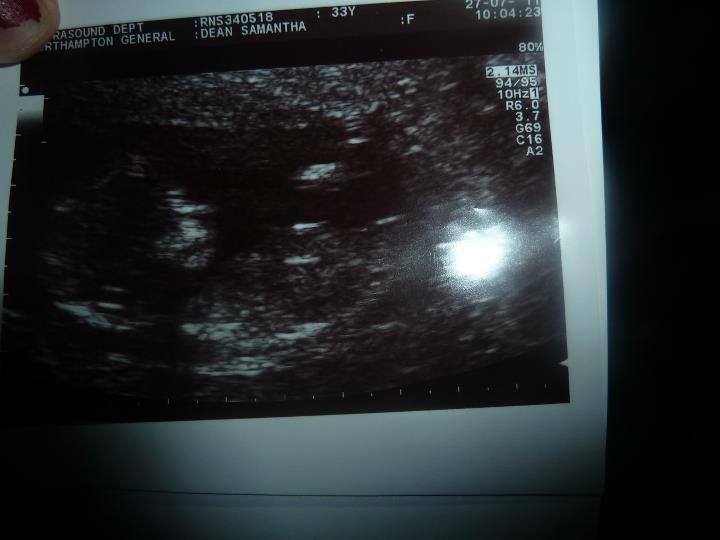 I knew in that instant that my baby wouldn’t survive but I still wanted to hang on to the little bit of hope that some miracle would happen and my pregnancy would proceed safely against the odds. I was rushed in to hospital by my birth Doula where I was checked over by the doctor who confirmed I had lost amniotic fluid. After a scan to measure the fluid levels I was told there was not enough water to support my baby’s lung development and that due to diabetes I was at high risk of death too. I had to face the hardest decision of my life and after spending from then till the Monday following refusing outright to terminate my pregnancy, I finally conceded to allow the medical team to induce labour at just 20 weeks gestation. There would be no intervention to save my baby as I was under 24 weeks pregnant and hospital policy didn’t permit resuscitation at that age. I was in an abusive relationship with a violent partner and I chose to go through labour and birth with only my Doula present. It was a harrowing experience to say the least but I was still determined to make my baby’s birth as natural and beautiful as I could. I wanted it to be special and memorable, for my last moments with my baby to be precious. We had a candle lit room (LED tea lights and colour changing lotus flowers), aromatherapy, crystals and the Obstetrician permitted me to have a natural birth without any electronic monitoring (no wires or drips) so that I could move around freely. The midwives allowed us the space we desired and only came in to check once in a while how contractions were developing. Finally it was time to give birth and despite holding on for as long as I could refusing to push, my daughter finally entered the world at 5:28am on 14th September 2011 at just 20 weeks and 2 days gestation as the sun was rising. She was about the size of a Barbie doll at just 20cm length and weighing a tiny 10.5 ounces. Despite her tiny size she was perfect in every way, with ten fingers, ten toes, perfectly formed ears and a little pink nose, I even noticed in the right light she had the fairest eyelashes I’d ever seen. I spent 2 days alone with her in the hospital, holding her, kissing her and trying to take in every little feature so that it would be burnt to memory forever. I didn’t want to let her go or say goodbye, I wanted those days to go on and never end, but of course they did end and I had to leave the hospital. Arriving home it was time to start planning her funeral, she’d never get a birthday, Christmas, Easter or a wedding day, her funeral was the only special occasion she would ever have, and the only thing I could do for her to make it as important and special as I could. 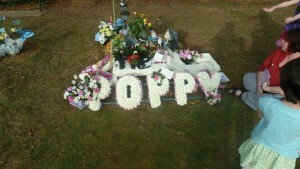 I contacted the charity Children Are Butterflies who work alongside B Hollowell and Sons funeral directors. They fund children’s funerals and the lady that runs it was lovely. Due to the abusive relationship I was in, I was again alone in planning my daughter’s funeral but Ann made everything go easier and smoother. She was so kind and supportive towards me and I know I will be eternally grateful to her for all she did. The funeral was beautiful. We had a Hearse that was made from an old London black cab to take Poppy-Rose to her last resting place and a beautiful white woollen coffin with an embroidered name plate. The funeral was white, pink and butterfly themed. 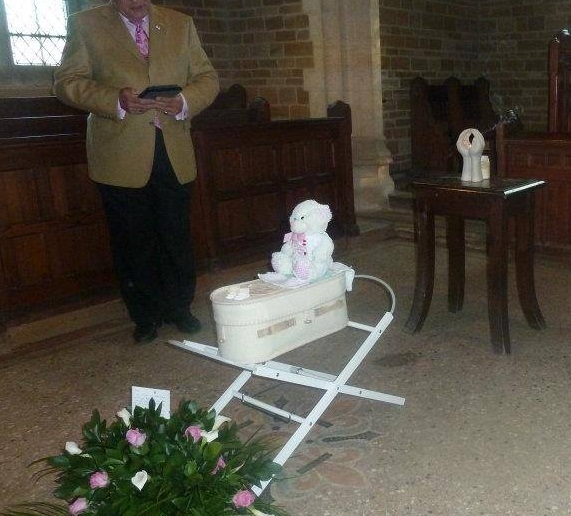 Poppy’s coffin looked so tiny at the front of the chapel resting on a Moses basket stand that was far too big. We read poems and I gave her Eulogy before moving to the graveside for her internment. Each guest was given an incense stick to light and place in the ground around her grave and a paper butterfly to write a message on for her. As we said goodbye a beautiful red butterfly flew across her grave, unusual for the time of year here in England. I wanted to share my story because often talking about baby loss is considered taboo but especially in cases of termination for medical reasons. This leaves so many women (and families) feeling isolated and alone in their grief. I wanted a chance to give my side of the story, to show you how much we all need that little bit of help, compassion and love. We don’t all have family to stand by us; some of us feel so alone in our grief. We go through all the usual feelings such as sadness, despair, anger but often we also feel guilt and self-blame and this can only be made worse when we are silenced by others negative judgements , we need to be allowed to speak out and to share our stories, our personal journeys with others. Many of us have the gift of moving through the grief process as we find a way — often after years and years of remaking — to put grief to a restless slumber. It only takes something small … maybe a smell, a scent that reminds us of our loved one; or a picture; an activity to cause an overflow of the deep well of tears to burst forth from the depths. Even after years, grief is always at the surface. Tears we had momentarily forgotten about, feelings we had buried with the everyday activities that we’ve used to help us move on, and then it happens. Our buried, bruised soul awakens. Grief sleeps lightly; ready to be awoken by the slightest touch. But there’s a grief that doesn’t sleep. A grief that has no beginning and seemingly no end. A grief that may never heal. She tells me to take a seat as she rummages through her files. After a minute or so she arises from her paperwork, finds what she needs and makes eye contact with me, signaling me to come closer. “Here’s the release. I’ll call the security guard”, she says. “Great!” I say cheerfully, thankful that process seems to be going more smoothly than expected. “Here comes the obstacles” I think to myself. Ten minutes later I was walking to the morgue carrying my little brown box by the handle, having resolved the situation. As I entered the morgue, and gently placed the dead infant in my box, I couldn’t help but think about how the mother of this child will process her grief. It will be an apparition. Here and there. Such a short beginning with no closure. These thoughts have haunted me over the past couple weeks, so I want to do something right here and now, with you present. I want to remember this short life by offering the only act I know to do. I’d like to write an obituary. Baby X, passed into and out of this world on Sunday, January 8th, 2012 at the Chester County Hospital. He is survived by his mother, who cared for him for nine months, had the chance to name him upon his birth and who has been thinking about him ever since. Although your time was short on this earth, you have not gone unremembered. Today, I remember you. Today, we remember you. In our silence, we remember. I originally wrote this post as a guest post for one of my favorite people, Joy Bennett. Joy’s blog is “Joy in this Journey” and you can like her work on facebook. When an individual dies, that death throws a web of relationships out of balance, causing the bereaved to *attempt* to find a new homeostasis. This disrupted “new normal” is best found together in community. When grief isn’t shared. When there is no community to share it. When it isn’t recognized by society, then grief becomes complicated. There is grief that is produced by “deaths” (both literal and real) in our society that aren’t recognized. This kind of grief is a disenfranchised grief. 1. Grief from miscarriages. This is a silent grief. A grief that few people share; and when they do share, few people show compassion. And while the mother may have the greatest form of disenfranchised grief, the father can also be the silent sufferer as he is sometimes thrust in the supporting role, being unable to deal with his own emotions. 2. Death of a pet. Pets become part of the family; and when they die it’s almost like losing a family member, except no one in the community recognizes your loss. ”It’s just a dog” is both true and false. 3. Grief from abortions. This topic has become so political that it has lost its human element. Abortions hurt. And the mothers who choose abortions will often grieve. 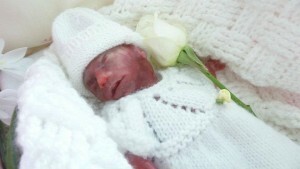 Even if they don’t grieve at the time of the abortion, they will often grieve later in life. 4. Grief of the supporter. When death occurs, roles quickly play out. There’s the main mourner(s) and there’s the supporting cast. That supporting cast — those who take care of the main mourner (the spouse of the deceased, the children of the deceased) — are often very close to the deceased themselves. But because they are the supporters, they simply aren’t allowed the time to grieve. They are the strong ones. 5. Grief from suicide. Suicide is such a difficult, tragic and complicated death that those who are left behind are often not sure how to grieve … or if they should even grieve at all. To complicate the issue, outside society can often look at suicide as such a taboo that they don’t recognize the grief of those surrounding the suicide. 6. Grief of the “Outsider”. At funerals, we will sometimes have family members state, “So-and-so is not allowed at this funeral. If you see so-and-so trying to enter the funeral home, ask them to leave.” We had a case not too long ago where two friends were out drinking. On their way home from the bar, the driver wrecked his car, killing the passenger while the driver walked away unharmed. The family of the passenger disallowed the driver from attending the funeral, even though the deceased was his best friend. This outsider may be an ex-spouse, an unrecognized (often gay) love relationship, an “illegitimate” child or anyone that — for one reason or another — is not accepted or wanted by the insiders. Have you ever experienced disenfranchised grief? Have you even been the one who has disenfranchised someone else’s grief?